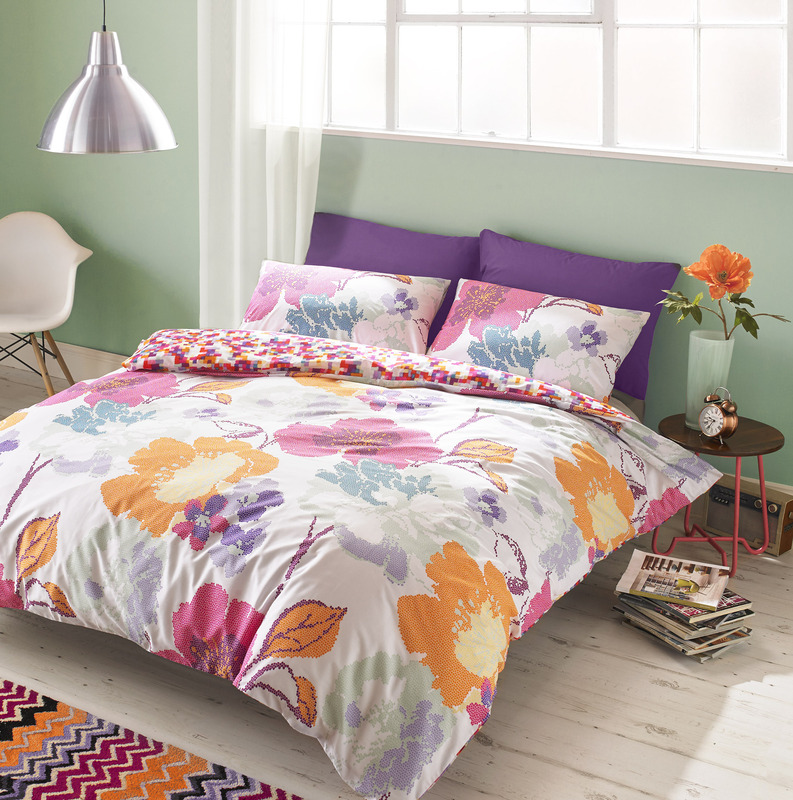 This flamboyant design of summer flowers has a pixilated reverse in a vibrant colour palette, bringing a contemporary look to the bedding. Very stylish, very Zandra. This flamboyant design of summer flowers has a pixilated reverse in a vibrant colour palette, bringing a contemporary look to the bedding. Very stylish, very Zandra!